An Egyptian electronics manufacturer is set to launch the country’s first locally manufactured tablet on Wednesday, the chairman of Egyptian Silicons Industries Company (SICO) Mohamed Salem said on Tuesday. In statements to Al-Ahram Arabic news website, Saleh said the tablet, which will be named SICO Express 3, is manufactured with 45 percent locally produced components. The tablet, manufactured in Upper Egypt’s Assiut Technological Park, will be sold in at a price of EGP 1,149 retail (approx. $64), with 10,000 tablets coming to the Egyptian market in two weeks. 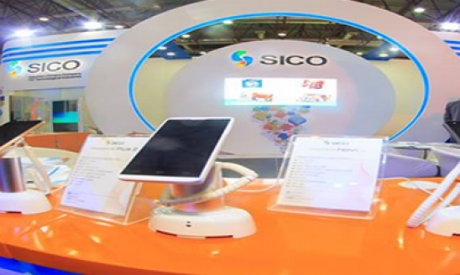 The tablet will be exported to Saudi Arabia, as SICO aims to reach Arab and eastern African markets, according to Salem. The company plans to make a presence in Western Africa after getting a share of Eastern Africa markets first. Tuesday’s announcement comes nearly five months after SICO launched the country’s first locally manufactured smartphone, named ‘Nile X’ in February. SICO Technology is the owner of the Egyptian Company for Silicon Products and was established in 2003 as a member of the El-Sayed Salem Group.